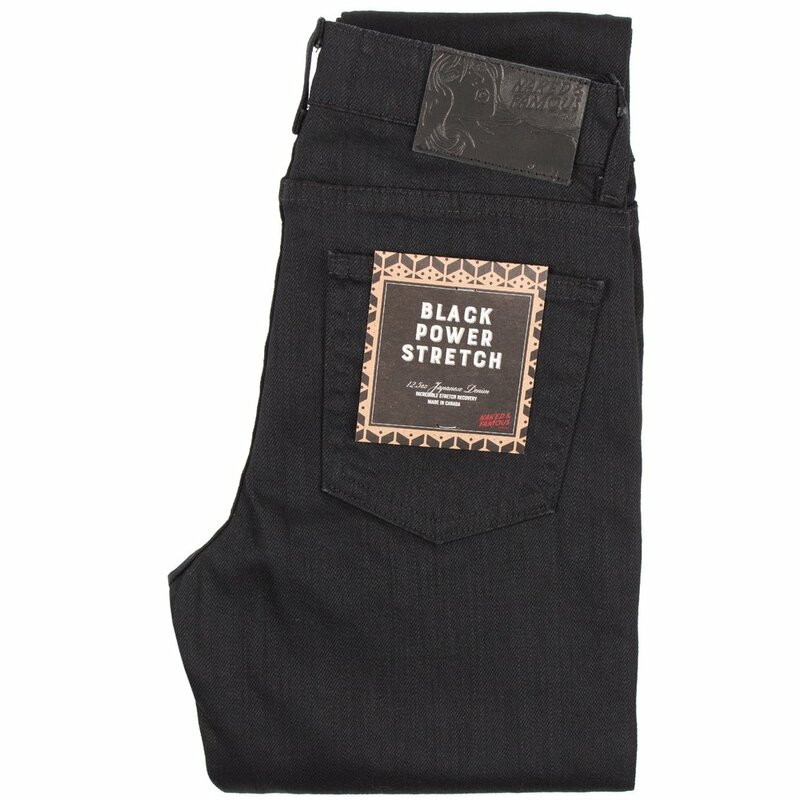 12oz black power stretch denim is dyed black on both the warp and weft for a solid black color tone. The dye is resistant to fading to ensure the jeans stay blacker longer. Made with 5% stretch for increased comfort and incredible stretch recovery performance that allows the jeans to snap back to shape wear after wear. Rinse washed.